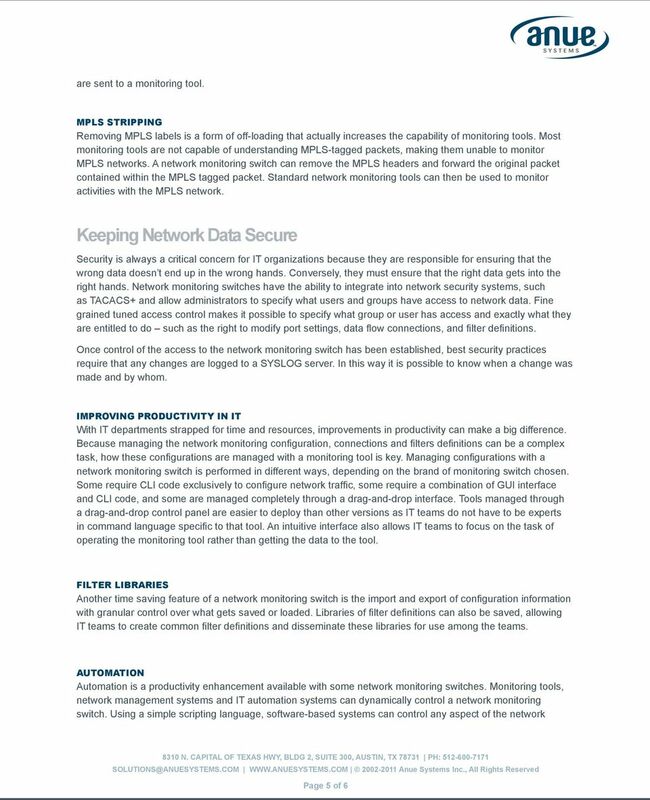 Download "Solving Monitoring Challenges in the Data Center"
1 Solving Monitoring Challenges in the Data Center How a network monitoring switch helps IT teams stay proactive White Paper IT teams are under big pressure to improve the performance and security of corporate networks. 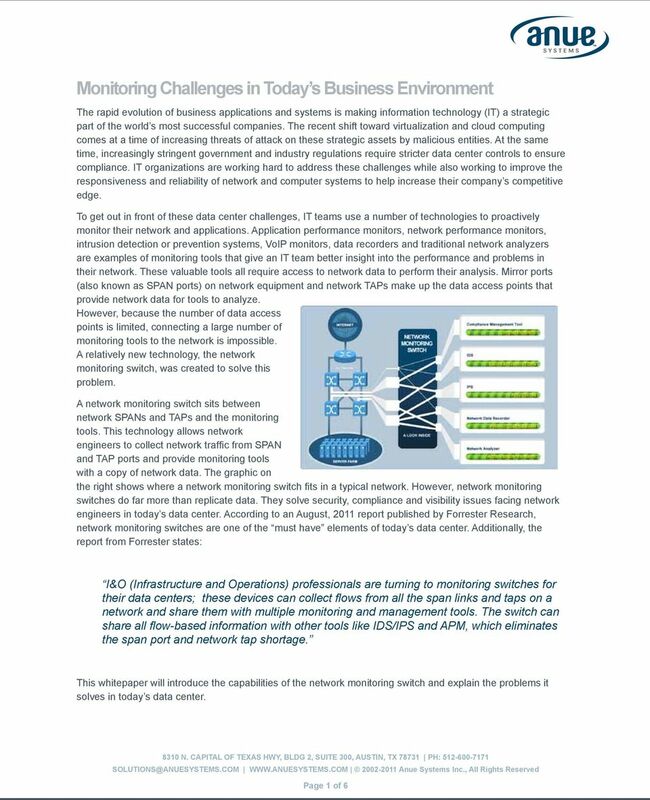 Monitoring for security, compliance and performance requires getting the right data to the right monitoring tool for analysis. 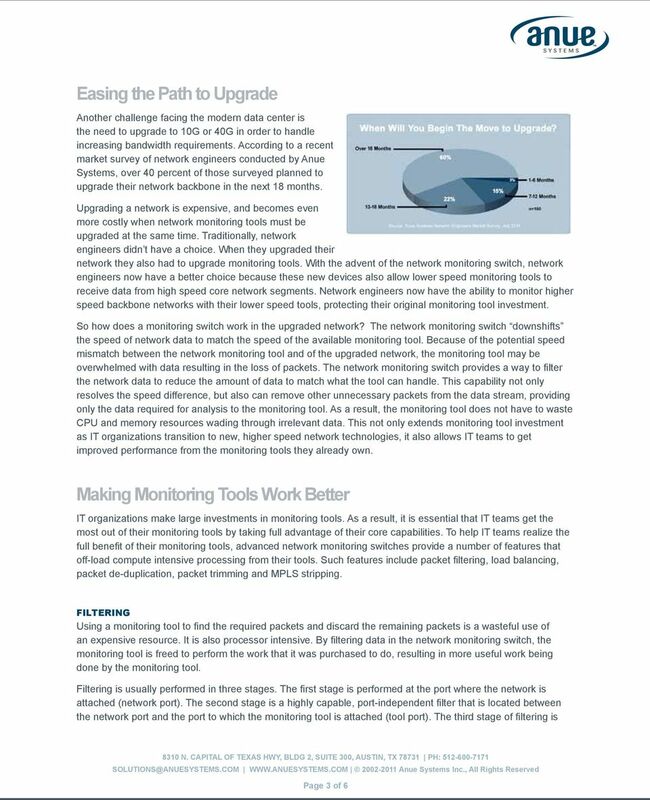 This paper describes the capabilities of a network monitoring switch and how it optimizes the traffic to the monitoring tools, improving overall monitoring tool performance and protecting the IT team s monitoring tool investment. Enabling a Converged World. 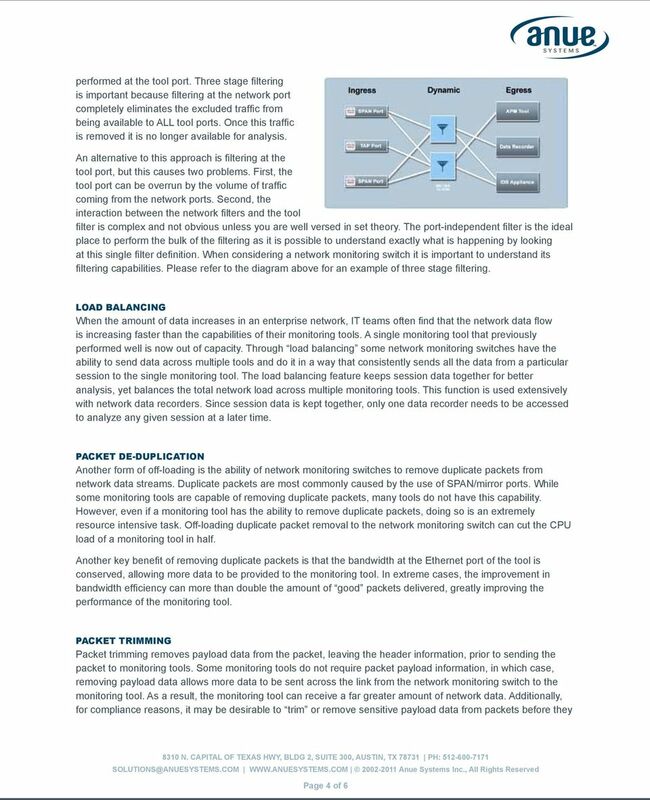 Are Duplicate Packets Interfering with Network Monitoring? 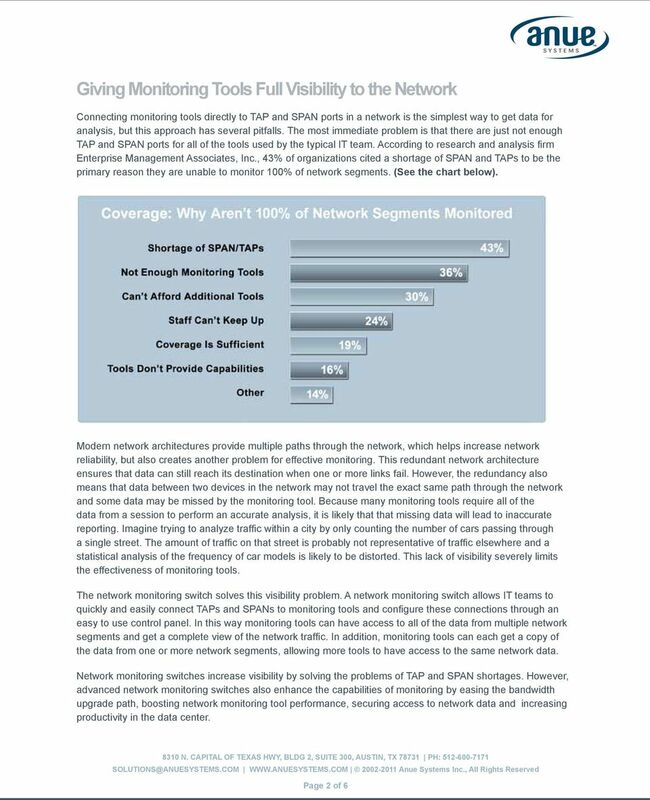 Whitepaper Unified Visibility Fabric A New Approach to Visibility Trends Networks continually change and evolve. Many trends such as virtualization and cloud computing have been ongoing for some time. Network Virtualization for Today's Business Introduction Today's enterprises rely on Information Technology resources and applications, for accessing business-critical information and for day-to-day work. 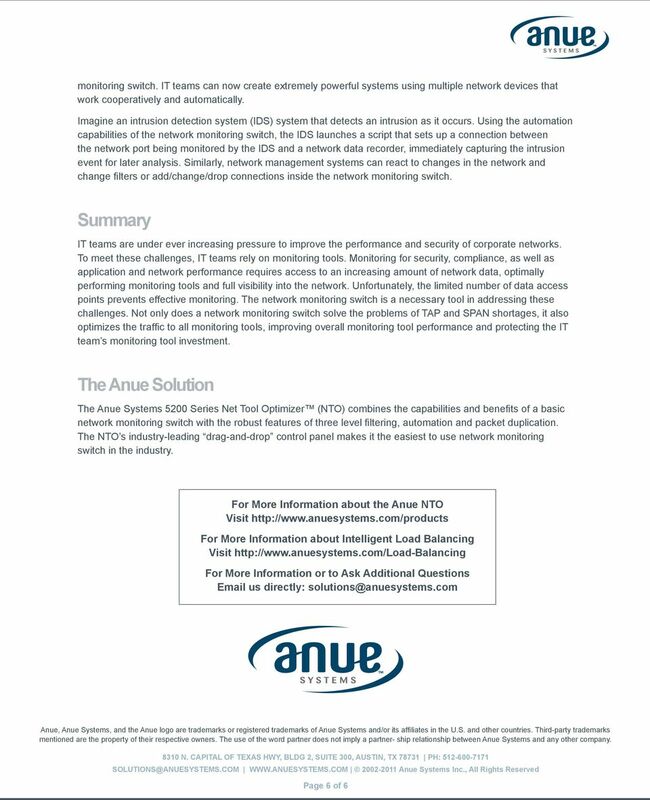 TIME TO RETHINK PERFORMANCE MONITORING New requirements for application awareness and support for unified communications are challenging performance monitoring appliance vendors to reconsider their approach. McAfee Next Generation Firewall Optimize your defense, resilience, and efficiency. Radware s Smart IDS Management. FireProof and Intrusion Detection Systems. Deployment and ROI. North America. International. www.radware. Visibility for Security. A Security Delivery Platform: See More. Secure More.